Prepare the brown rice per package instructions. If you are using dried black beans which are much more affordable you will need to soak them the night before and then cook them. If you use canned be sure to rinse them and then warm them up in a small pot. Take your fresh cilantro and onion and dice it up then mix it together. 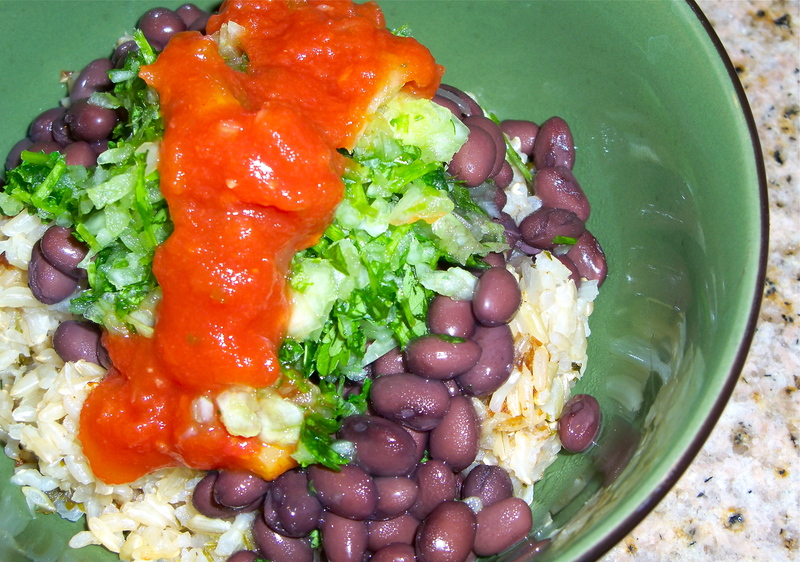 In a bowl take 1 cup of rice, top with 1/2 cup of black beans. Top with a tablespoon of cilantro onion mixture, then add tablespoon of mild salsa. Makes a super delicious and nutritious meal that is extremely affordable. Next Post Do you know this Highly Nutritious & Naturally Low Calorie Fruit?